Queen Chinonye Joy Olebu, reigning Miss Imo State has released photos as she is set to hand over the crown in the forthcoming 2019 Miss Imo State contest, holding in Owerri, the Imo state capital. 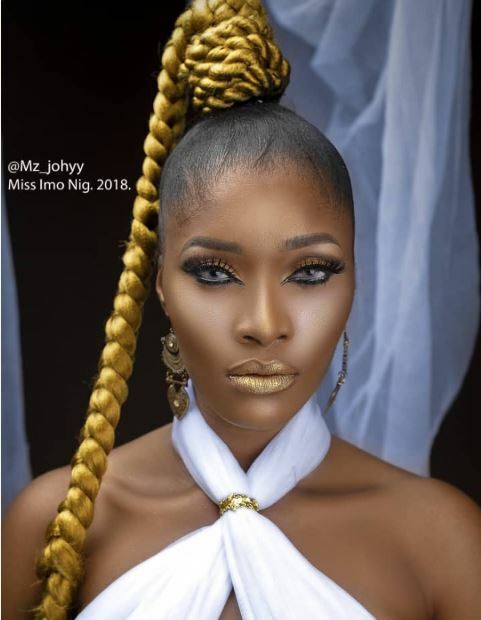 Queen Chinonye doubles as a beauty Queen and the Convener of Joy Chinonye Foundation (JCF).She has displayed unconventional wisdom, abled capacity and Intellectual disposition of commitment throughout her reign as a beauty Queen. She was crowned Queen in April 2018 and would be handing over on the 13th of April 2019. During her reign, Queen Chinonye was engaged in several charity and humanitarian projects. As the founder of Joy Chinonye Foundation, Queen Joy has carried out free medical outreach in Orsu LGA,Imo State with the development partnership of Society For Family Health (SFH) in Imo state. Her Foundation also donated food and other items to inmates, during a visit to Owerri prisons, to share love and extend its hands of benevolence to the those who have given up on life.